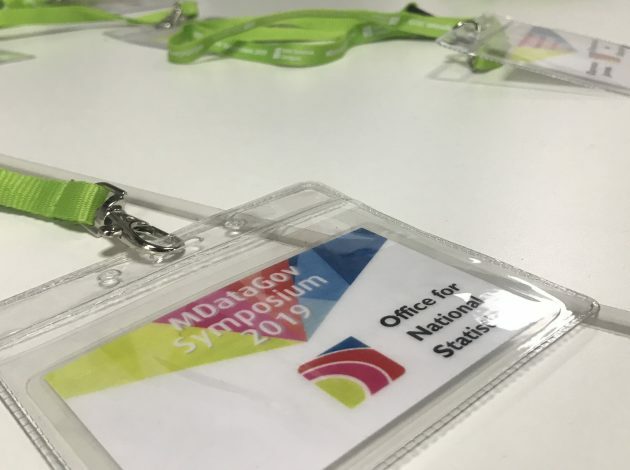 Last week I had the privilege of helping to organise the second annual MDataGov Symposium in Manchester and was so proud to see how incredibly fast the community is growing. 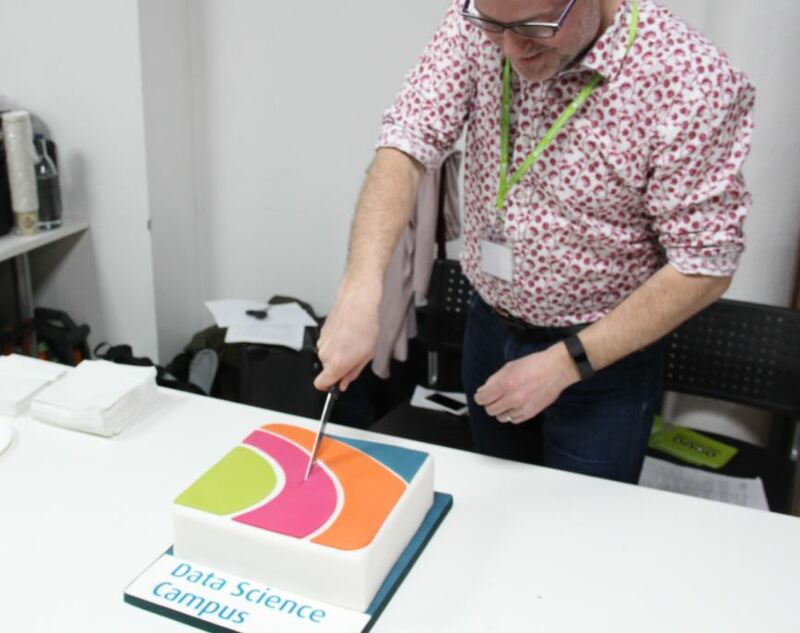 Six months after the launch of the MDataGov programme, we hosted the first MDataGov Symposium in Newport, bringing together 13 Data Science Campus-funded master’s students to discuss their experiences and to network. The event helped to establish a thriving and innovative community for the students. This led to the creation of a Slack channel to stay up to date, share ideas and identify two MDataGov reps from across government to support this growing community. Now with more than 40 civil servants registered on the full MSc programme, the community is stretching across the public sector. We also have more than 120 home and international students taking standalone MDataGov modules per academic year for professional development across the three provider universities. This year’s symposium brought together a diverse group of more than 80 delegates from 16 government departments and 6 universities. The event offered a relaxed atmosphere for networking and learning. The symposium hosted 5 sessions with 11 talks where students showcased projects, skills learnt and the benefit of these to their workplaces. The quality of the projects was impressive, with topics presented including natural language processing, distributed computing platforms, advanced statistical modelling and machine learning. The full programme and presentations are now available. Click here to see the full list of presentations. 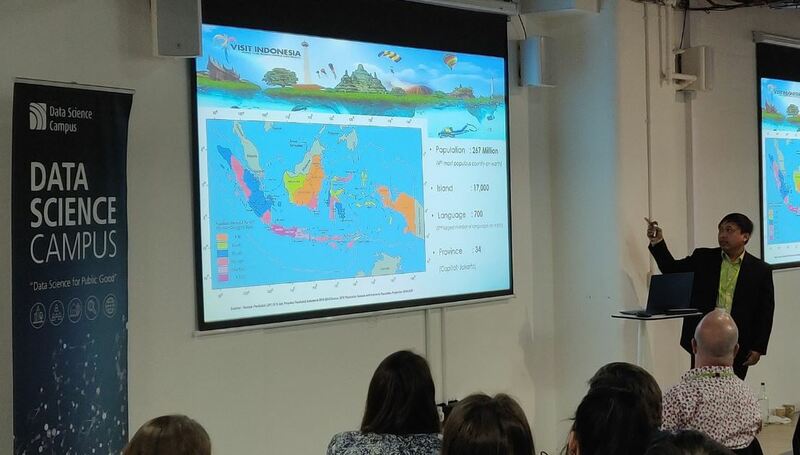 Attendees also voted for the best presentation and the winner was the MDataGov student Yuliagnis Wijaya from Badan Pusat Statistik (Statistics Indonesia) and Southampton University. His talk was entitled “Using exploratory data analysis methods for an early warning in Indonesia’s earthquakes disaster”. Yuliagnis will receive £200 worth of data science books. The event ended with a roundtable about “how universities can enable government to embed data science in its processes?”, with Tom Smith, the Campus Managing Director, and Professor Jackie Carter, from Manchester University, engaging the audience in a thoughtful discussion. Tom also announced the Campus’s second anniversary and the release of its two-year report. To the delight of the audience, following on from this announcement, a large Campus-branded cake was cut! We would like to thank the delegates and speakers for supporting the event and hope they enjoyed it. We look forward to seeing them next year.